Welcome to The Renaissance Court Condos, a group of townhouse style condos constructed about 15 years ago. 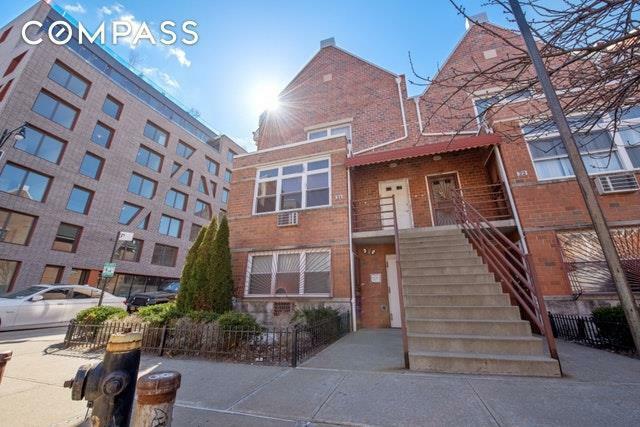 The cul-de-sac block is located on the border of Bushwick and East Williamsburg and within a few blocks of the J,M and Z train at Myrtle Avenue and about a 10 minute stroll to the Morgan Avenue L train. 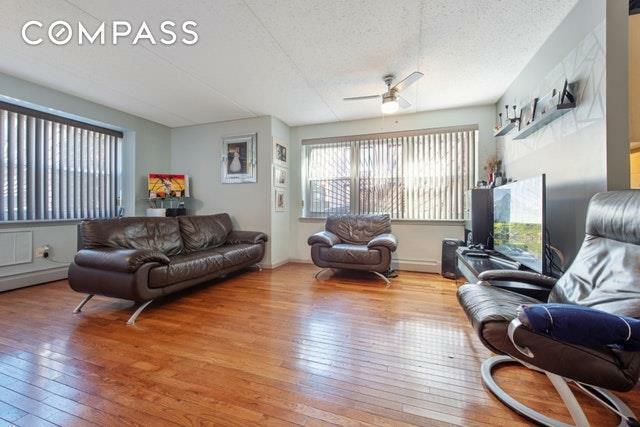 Number 24A is a garden level, two bedrooms and one and a half bath condo boasting almost 1000 square feet and features a private backyard. Enjoy hard wood floors throughout, a good-sized kitchen, washer and dryer in the unit and two massive walk in closets. The building was constructed in 2004 and still has a tax abatement until 2024, the common charges are only $491 a month. There is a wait list for a parking spot, but street parking is not difficult. 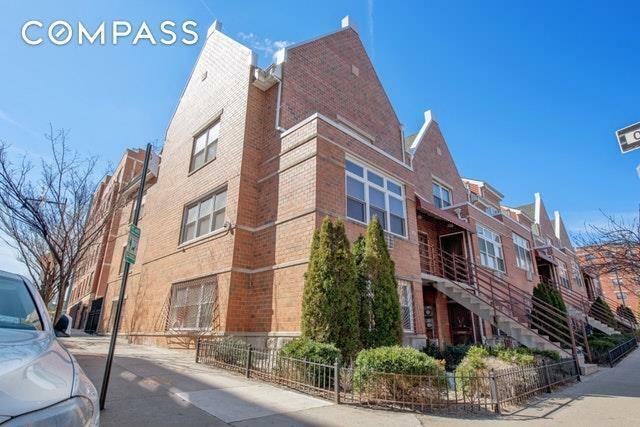 This is a great purchase, capitalize while rates have come down and own this place for the same or less than a two-bedroom rental in the neighborhood. Enjoy everything the neighborhood offers with in a few blocks of the house. Listing courtesy of Louis Belisario of Compass. 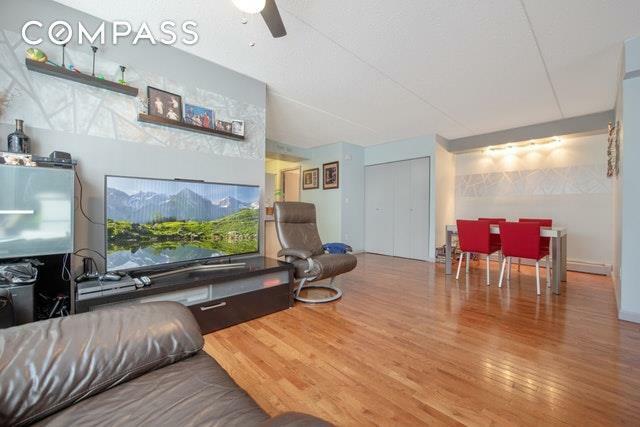 © 2019 Hudson Gateway Multiple Listing Service, Inc. All rights reserved. IDX information is provided exclusively for consumers' personal, non-commercial use and may not be used for any purpose other than to identify prospective properties consumers may be interested in purchasing. The information appearing herein has not been verified by the Hudson Gateway Multiple Listing Service, Inc. or the Hudson Gateway Association of Realtors, Inc. or by any individual(s) who may be affiliated with said entities, all of whom hereby collectively and severally disclaim any and all responsibility for the accuracy of the information appearing at this web site, at any time or from time to time. All such information should be independently verified by the recipient of such data. This data is not warranted for any purpose. The data relating to real estate for sale or lease on this web site comes in part from HGMLS. Real estate listings held by brokerage firms other than Mark Boyland Real Estate Team | Keller Williams Realty Partners are marked with the HGMLS logo or an abbreviated logo and detailed information about them includes the name of the listing broker. Data last updated: 2019-04-19T16:15:35.247.